The country’s Total Health Expenditures at current prices grew by 8.0 percent in 2017 amounting to Php 712.3 billion from Php 659.3 billion in 2016. It contributed 4.5 percent to the Gross Domestic Product (GDP). 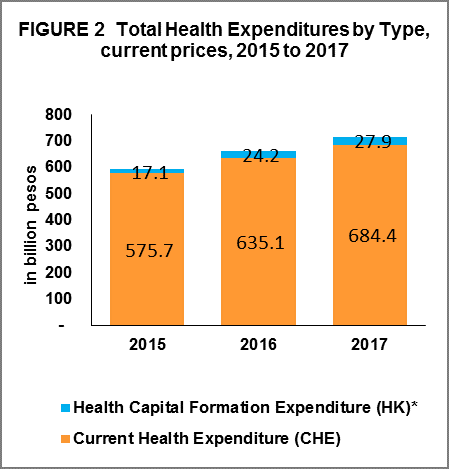 The 2017 Total Health Expenditures (THE) comprised of 96.1 percent Current Health Expenditures (CHE) and 3.9 percent Health Capital Formation Expenditures (HK) in government sector. 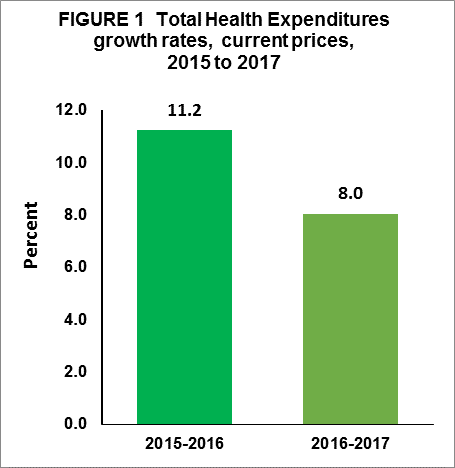 Per capita health spending of Filipinos in 2017 grew by 6.3 percent to Php 6,791. In real terms, per capita health expenditure of Filipinos amounted to Php 6,090. (national level) using the estimation methodology approved by the PSA Board Resolution No. 1, Series of 2014. Household-out-of-pocket payment (OOP) posted Php 372.8 billion or 54.5 percent of CHE in 2017, followed by government schemes and compulsory contributory health care financing schemes at Php 225.9 billion or 33.0 percent. 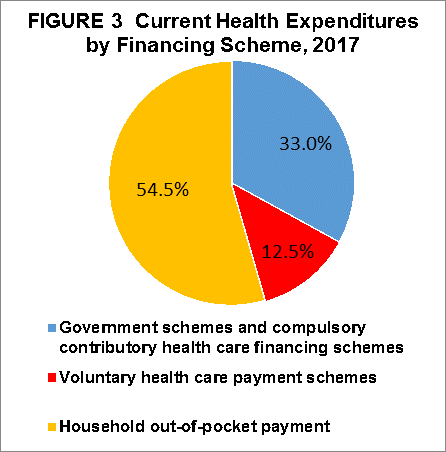 Voluntary health care payment schemes contributed Php 85.7 billion or 12.5 percent. More than half of OOP amounting to Php 186.6 or 50.1 percent went to pharmacies. Private general hospitals came in second at Php 97.5 billion or 26.1 percent; followed by providers of ambulatory health care at Php 50.3 billion or 13.5 percent.